When Amanda Hodgson applied for a job looking after pupils at her local primary school she thought the childcare checks would be a formality. Her three children all attended the school and teachers had asked her a couple of times to consider helping out. But a Home Office agency set up to vet those working with children claimed that Mrs Hodgson was a drug-dealing alcoholic with convictions for assaulting three police officers. And instead of admitting a case of mistaken identity, the Criminal Records Bureau told Mrs Hodgson, 36, she would have to face a police interview and have her fingerprints taken which will then be checked against every unsolved crime in the country. Yesterday Mrs Hodgson said she was horrified that she would have to prove her innocence. She said: ‘The process is not fair. In a court of law the defendant is innocent until proven guilty but I am guilty until proven innocent. The four-page CRB disclosure said that Amanda Jane Hodgson was convicted of assaulting three police officers in November 1989. In 1998 she appeared before magistrates charged with battery where she was given a conditional discharge. In November last year, she accepted a police caution after being arrested for common assault. Mrs Hodgson told the CRB they had sent the criminal record of a woman with the same name and date of birth. She also told them she took the surname of Hodgson only after she married in 1993, four years after the first offences. However officials said it would be her responsibility to prove her innocence. What next, being questioned for putting your hand in your pocket? Article 29, (3) These rights and freedoms may in no case be exercised contrary to the purposes and principles of the United Nations. Article 52; (3) Rights recognised by this Charter which are based on the Community Treaties or the Treaty on European Union shall be exercised under the conditions and within the limits defined by those Treaties. As such databases (DNA, CRB, Biometric) ballon in size, the probability of error increases. Such ‘errors’ can result in the ruination of people’s lives and reputations, something the State is not liable for. Neither will it deem itself liable for the fact that millions of civil servants, working under the swelling belly of the Socialist/ Communist State could have access to such information, or when such data is ‘lost’. The centralisation of vast amounts of personal data (such as the ID Card) does nothing to secure peoples’ personal data. It only presents a gold mine for criminals. The State however, views everything in the country as belonging to them, you, your children, your data, your rights, everything, and they are going to keep grabbing as much as they can until we have outright Fascism or the People exercise their Power against Tyranny and reinstall Magna Carta and the Bill of Rights as the Highest Law of the Land. A man wearing a T-shirt depicting a cartoon character holding a gun was stopped from boarding a flight by the security at Heathrow’s Terminal 5. 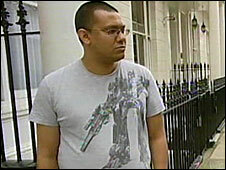 Brad Jayakody, from Bayswater, central London, said he was “stumped” at the objection to his Transformers T-shirt. Mr Jayakody said he had to change before boarding as security officers objected to the gun, held by the cartoon character. Airport operator BAA said it was investigating the incident. Mr Jayakody said the incident happened a few weeks ago, when he was challenged by an official during a pre-flight security check. And to think there are people who believe this sort of stuff is still for their ‘security’ and scoff at those speaking of a Police State. “He says, ‘we won’t be able to let you through because your T-shirt has got a gun on it’,” Mr Jayakody said. “I was like, ‘What are you talking about?’. “[The official’s] supervisor comes over and goes ‘sorry we can’t let you through and you’ve a gun on your T-shirt’,” he said. Mr Jayakody said he had to strip and change his T-shirt there before he was allowed to board his flight. “I was just looking for someone with a bit of common sense,” he said. A BAA spokesman said there was no record of the incident and no “formal complaint” had been made. “If a T-shirt had a rude word or a bomb on it, for example, a passenger may be asked to remove it,” he said. “We are investigating what happened to see if it came under this category. 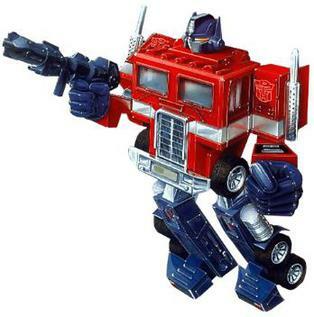 A Transformers T-shirt. They would not let him on the plane because it may offend someone? That is rubbish. This is a perfect example of the application of Collectivist methodology in order to remove our freedoms. By claiming it would offend an arbitrarily set group, one individual can control the behaviour of/ restrict the actions of many. This is also only applied top-down. That is, if I find the governments policies offensive or the behaviour of stupid security guards at airports offensive, that can be ignored. The same way the government can focus on a knife stabbing in Britain to force through laws making buying swords illegal, or try to ban firearms for 300 million people because a kid shot up a school (Imagine how far he would have gotten if the students were armed also). On top of this, I’m sure more people will find the actions of the guard offensive than would find the T-shirt offensive. It’s Transformers – Terrorists in Disguise I guess. So, what if someone is killed with a spoon? What if someone is drowned? Ban spoons and lakes? The government can mix and match events to further their agenda which always involves more controls over your freedom and behaviour under the guise of ‘protecting you’. Which obviously means they think you cannot protect yourself. You silly child! Hopefully these reports will force more sheep to think for themselves about what is going on. For more background on this ridiculous behaviour (and to see it in context of the police state), read the article on Infowars.net by Steve Watson. Photo-fit image of the potential terrorist seen in the wild. Further to the article on Infowars.com about the toys with the All Seeing Eye on them. 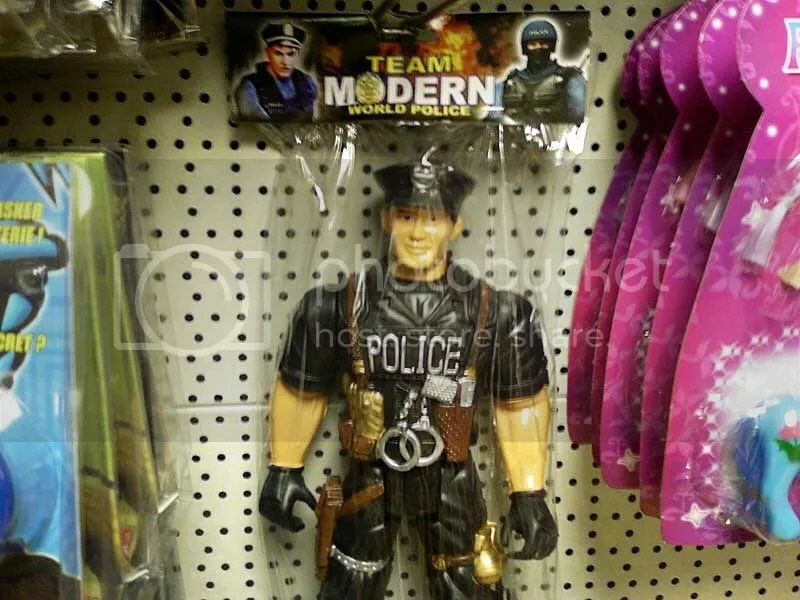 I present to you, the World Police toy! Oh well, gives the next generation of slaves something to relate to, I guess. On a final note, I would have pointed this out to the store workers, but it is one of those shops where 95% only speak broken English (customers and staff).